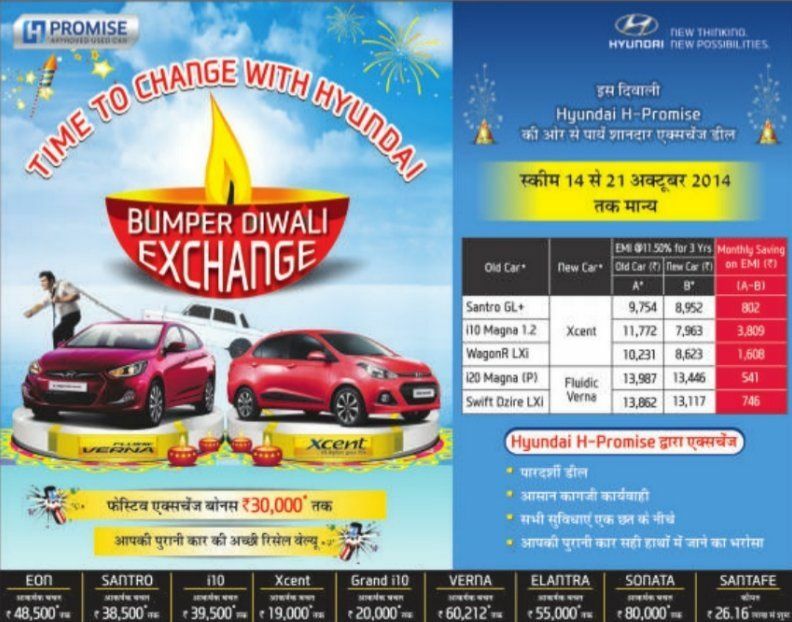 Hyundai is already offering many discount offers on its cars for the Diwali 2014 and now it has offered an Exchange bonus on the used car with its new Hyundai Verna and Xcent cars. There are many more Diwali 2014 discount offers available on different companies as well. So, are you going to buy a new during this festive season?